Most people understand the process of selling a book. The author thinks up an idea, writes a proposal (usually a synopsis and several chapters), and then submits it to an editor, who may or may not buy the book. During this process the author works alone and makes all the decisions about the plot. Once the book goes to contract, the editor gives her input, but the author still has control. This can be a stand-alone book (single title), part of an author-created series, or a book directed toward a particular line (such as category romance). Alternately, sometimes publishers commission books. In a continuity series, for example, a team of editors comes up with an idea, usually a murder or other mystery that runs through several books (typically six). They invent a cast of characters, often family members, one of whom is featured in each book. They also come up with a general idea of the plots, although this can be pretty vague. It’s up to the individual authors they hire to flesh out the details. The authors have a lot of creative leeway and only need to work together to make sure any overlapping elements mesh. (If my hero owns a ranch, for example, and this ranch appears in another book, I need to make sure the descriptions match.) Ultimately, though, each book stands alone. 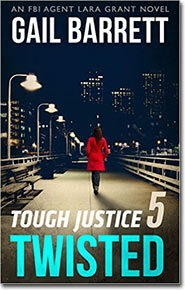 Tough Justice is completely different. It’s a serial that stretches across eight episodes. As with a continuity, the editors came up with the concept. 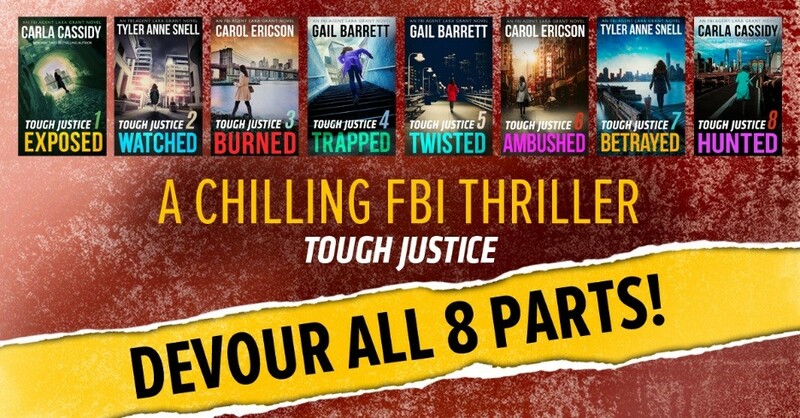 But while the books in a continuity share some common elements, the episodes in Tough Justice are much more closely entwined, similar to a TV show that has a new installment every week. In Tough Justice, the same main characters appear in every episode. They are members of an FBI team, the Crisis Management Unit, and are focused on a single case. Each episode builds on the previous one – meaning they’re consecutive and must be read in order to understand the clues. At the end of the series, they solve the case. This made writing Tough Justice both challenging and fun. The fun part was collaborating with the other authors on the team to work out the creative details. The difficult part was that, due to a tight deadline, we were all writing our episodes at the same time. That meant we couldn’t read the previous installments to make sure our episodes made sense. We had to rely on the editors to ferret out any inconsistencies and ensure that we stayed on track. It was only at the end that we got to finally read the entire series and see how our individual pieces fit in with the whole. And I have to admit that the editors did a stellar job. I was impressed by how flawlessly they put this high-octane serial together, managing to keep me riveted until the shocking end. So kudos to the Tough Justice team! It was a challenging project, but they pulled it off. I can’t wait to see what you think of the series! 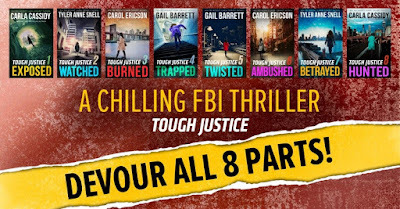 Gail Barrett is the award-winning author of over a dozen romantic suspense novels. A former RITA® finalist, Gail has received countless awards, including the Book Buyer’s Best Award, the Holt Medallion, The National Readers’ Choice Award, the Daphne du Maurier Award for excellence in romantic suspense, and Romance Writers of America’s prestigious Golden Heart. For more information, visit her website: http://www.gailbarrett.com. Sounds quite exciting and different. I'll have to check it out! I think the first episode will hook you, Anonymous. Carla Cassidy did an amazing job with it. And best of all, it's free:)! I hope you'll give it a try.